This is the website of Drummer/Arranger/Composer Tony Faulkner. So why Awful Music? Far from being a judgement of his own work, it’s quite simply because Tony’s full name is Anthony William Faulkner. He has long toyed with the idea of using the name “AWFul Music” for publishing purposes and this website has finally presented him with the opportunity. Please browse this website and learn more about Tony Faulkner. He is a fine musician who has built an impressive body of work over the last 50 years. He is a stylish Composer and Arranger, a great drummer and one of the UK’s foremost experts on the life and work of Duke Ellington. 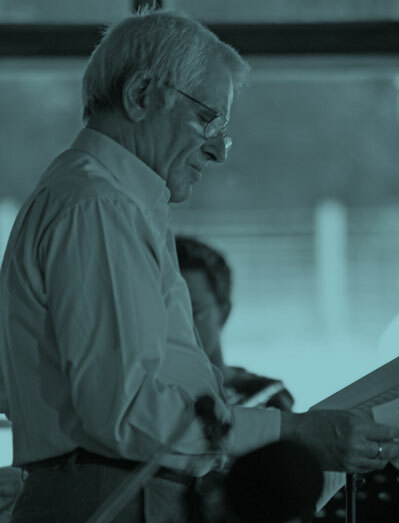 Tony has also enjoyed a long career as a Jazz educator, principally as a tutor at the Leeds College of Music, and has helped many of the finest British Jazz musicians of the last 35 years hone their compositional, performance and ensemble skills. Tony Faulkner lives in the Leeds area and is available for musical situations of almost any kind. He has vast experience as a drummer for both Big Bands and small group jazz. He has an enormous library of music for ensembles of different sizes ranging from his own compositions and arrangements, to transcriptions of Ellington scores and small group pieces by musicians such as Wayne Shorter. Please check the Music section for more details. Arrangements and/or transcriptions can, of course, also be done to order. Please contact Tony for details of pricing etc.